How to enjoy J.league matches in stadiums. If you go to the stadium to watch a J.league match, how are you going to enjoy J.league? 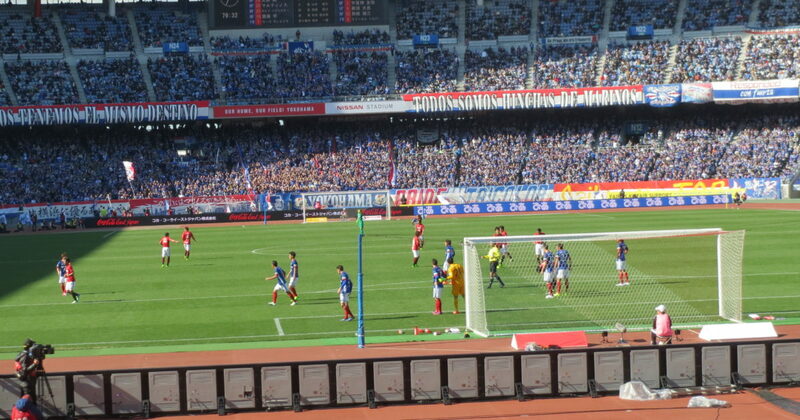 In this article, I would like to introduce three ways of enjoying J.league matches. If you are hungry, you should enjoy eating Good Cheap Eats around stadium. Good Cheap Eats around stadium is essential for enjoying J.league matches. I recommend you buy it outside the stadium. 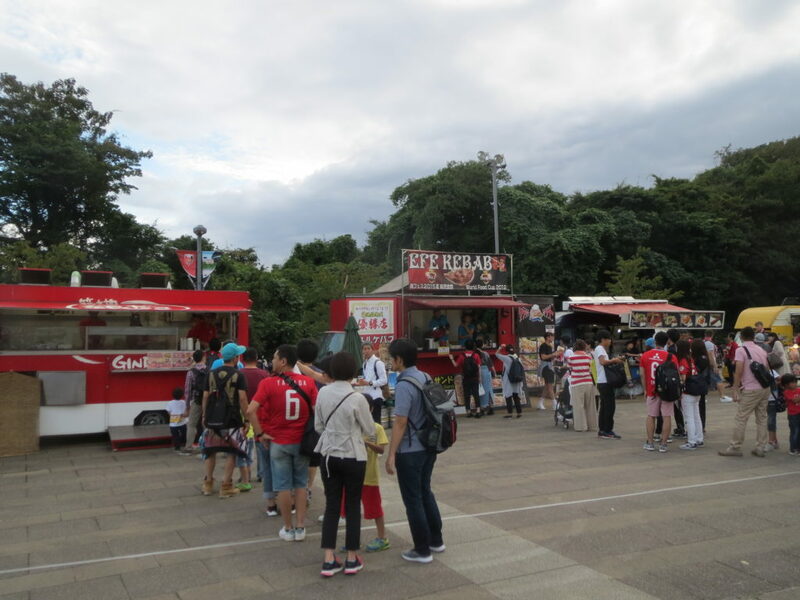 There are a lot of food stands outside a stadium. The Japanese stadiums are imposed restrictions on serving meals. In many stadiums in Japan, they cannot use the fire in a stadium according to fire service act or because of poor facilities. 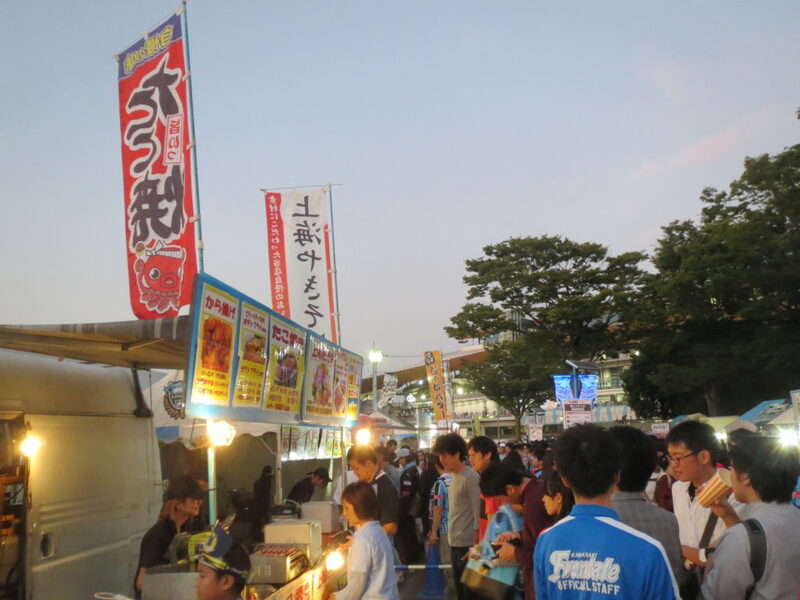 On the other hand, food stands can use the fire freely. Also, foods outside a stadium are cheaper and more delicious than these inside a stadium generally. 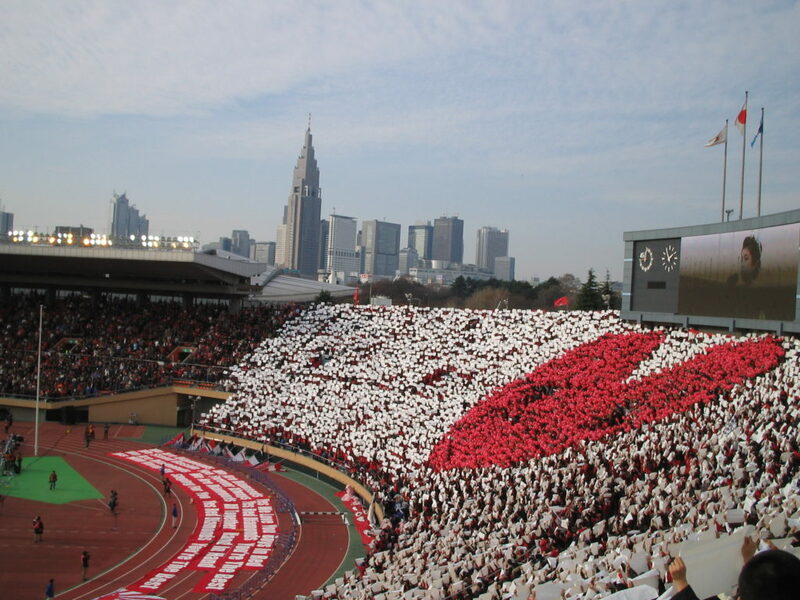 Like supporters of European countries, Japanese supporters support their favorite teams eagerly. Especially supporters located at seats behind home side goal are enthusiastic and cheer wildly. Japanese supporters are organized. That is their characteristics. I sure you can enjoy J.league matches more when you cheer the team together. Japanese supporters are not scary peoples, so you never feel in danger in stadiums. Japan is one of the safest coutries in the world, so needless to say, Japanese stadiums are safe places. J.league characteristic is difficulty to predict a winning team. That’s because J.league don’t have a so-called big club. There are not extremely rich clubs in J.league. 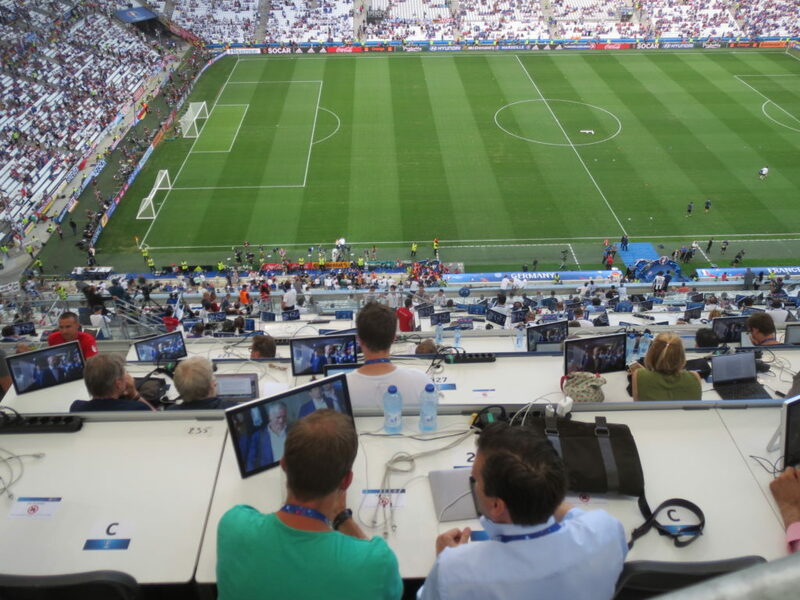 One of the causes is that a distribution margin of broadcast fees for each team is small. There is little difference between strong teams and weak teams. So sports news about J.league hardly use word “upset”. It’s J.league characteristic, too.